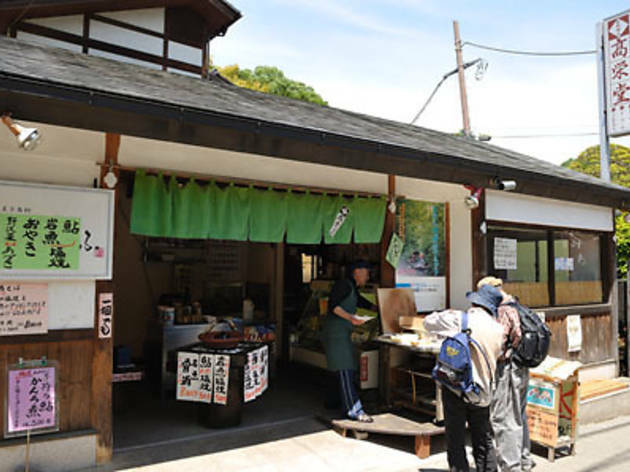 Koeido at Mt Takao specialises in natural food, and it can be found between the station and the foot of the mountain. 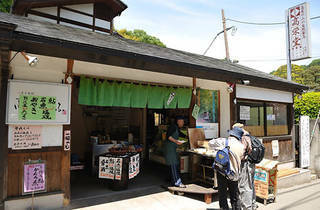 Their sobako-oyaki (bun-like dumplings made with buckwheat flour), come filled with nozawana (a leafy Japanese vegetable related to the humble pumpkin) or azuki beans, and you'll spot them in a steamer at the front of the restaurant, being kept at mouth-incinerating temperatures. Koeido’s oyaki have a springy outer texture, and each one is packed generously, making for a satisfying snack before you hit the trail.